Fashion photography is a portfolio which holds high demand and requires a unique, artistic perspective. Elizaveta Porodina is a Munich based fashion photographer who is established and promising. Elizaveta travels through time and space, bringing out the underlying emotions in her entrancing productions. Fashion photography has a different perspective in Elizaveta's works as her range varies between cinematic, fashion and almost documentary imagery. Creative concept and presentation of the same are two important things required for fashion photography. A variety of fashion photographs of dynamic Munich based Fashion photographer Elizaveta are presented here for you. 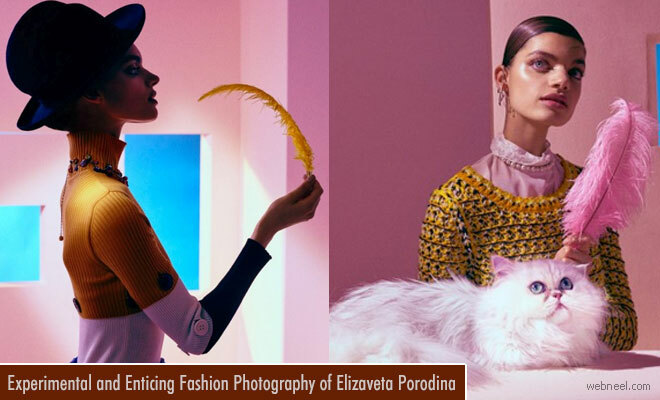 Experimental and enticing Fashion Photography of Elizaveta Porodina Neel Fashion photography is a portfolio which holds high demand and requires a unique, artistic perspective. Elizaveta Porodina is a Munich based fashion photographer who is established and promising.